Shoutout to our friend at Lisbon Tanker Brokers, Francisco de Jesus Fernandes for capturing the departure of Atlantis Aldabra from the Port of Aveiro. Francisco is a shipping professional since 38 years, taking an active role in all tankers market sectors; such as crude, cpp, dpp, chemicals, gas/lpg, edibles, asphalt, s+p, t/c, coa, consultancy, and lecturing. One is his greatest passions is hobby photography. We believe he has an eye for capturing the perfect moment! What do you think? 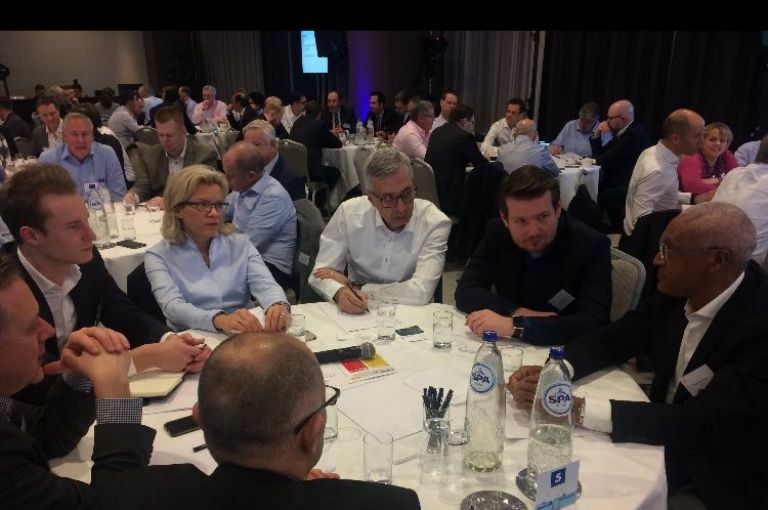 Armona Denizcilik's Deputy CEO participated in Shell's Maritime Partners in Safety Conference 2018 at the Hilton in Rotterdam. The conference spanned 2 days of intense workshops, informative speeches and interactive role-plays; all of which stressed the importance of safety leadership by the top-level management. The conference addressed Shell's fear of having plateaued in our vision towards a Zero Incident Industry. Therefore they appealed to us during the conference to strive for a mission of safety leadership that we as leaders are responsible for spreading. Our actions matter more than we realize: "Safety starts with you, or it does not" (Graehame Henderson, VP Shipping & Maritime Shell). As leaders, we are expected to change behaviors and habits of our community (whether it be personal or professional). Armona's leaders pledge to become safety leaders and coaches for their community and have identified that genuine care for people is of utmost importance to them. Lastly, the Armona family aims to empower all its people to act in a manner where safety takes precedent in their life choices. Armona Denizcilik's Deputy CEO participated in Shell's Maritime Partners in Safety Conference 2018 at the Hilton in Rotterdam. Fresh out of the shipyard already loaded and steaming through the Bosphorus flawlessly. May the wind always be at her back and the sun upon her face. 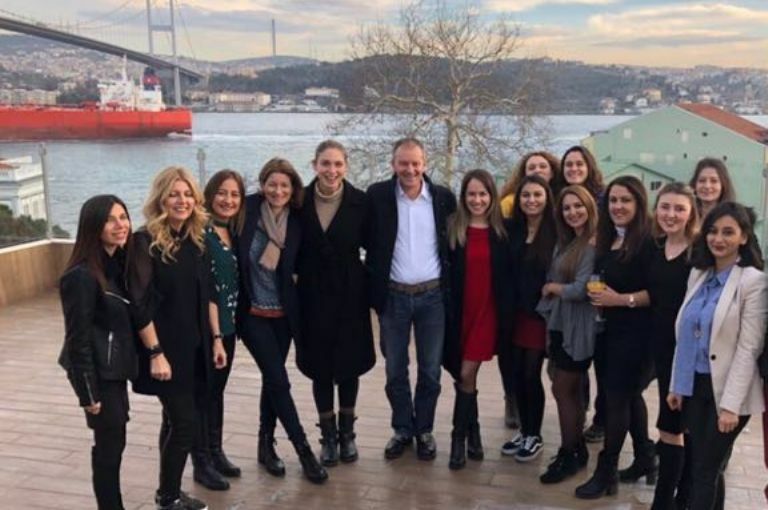 The Armona Denizcilik & Atlantis Tankers family celebrated the upcoming New Year of 2018. It was the first celebration in our new office premises as all on-shore and some off-shore personnel gathered to blow off some steam in a very eventful 2017. Drinks were served at the bar on the 6th-floor terrace and Kofte (Turkish meatballs) were prepared by the Ali Baba cooks with extraordinary views over the Bosphorus. The festivities started at 15:00 and lasted till 21:30. A mixture of international charts and nostalgic Turkish music set the scene for some excellent dancing. We want to thank all of our hardworking and loyal staff for their achievements and willpower they have shown in 2017. Our aim is to foster a family culture that is built on trust, respect, and ethics. This is our inalienable foundation in achieving excellence. Our journey will continue in the years to come, as we master hardships and push to achieve better results. On behalf of the Atlantis/Armona family, we wish you a healthy, safe and prosperous 2018! Fixtures continue through the festive days as new faces join the Commercial Team. 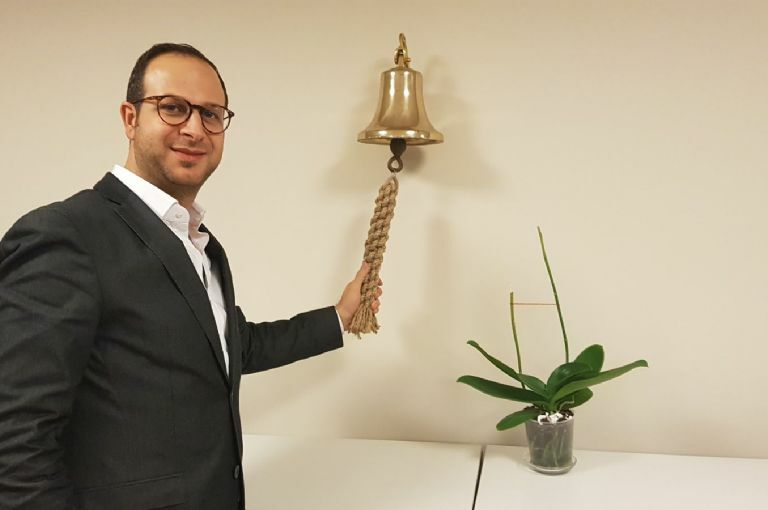 Captain Hasan Yazıcı is the first new member to join the commercial department of Atlantis Tankers. He has assumed the role of Deputy Chartering Manager. Pictured is the moment of his first fixture after his second day on the job. We welcome him to the team and look forward to the team’s fixtures in 2018. 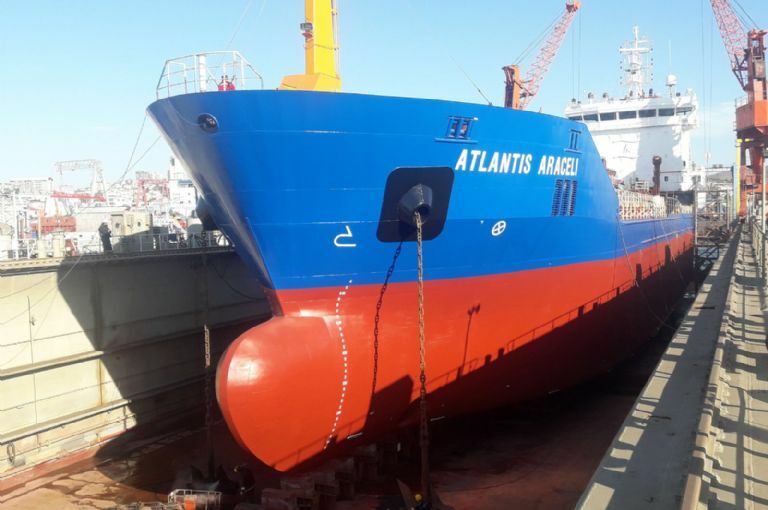 The Atlantis Araceli was acquired from the Greek-owned Restis Group in January this year. It is needless to say that sailing the colors of another owner leaves a feeling that the new member has not yet fully joined our family. However, that is now overcome as she was passionately overhauled and is well prepared to stand the harsh short sea trade in the Med and NWE to meet the steadily growing quality demands of our customers. Araceli was originally built for Mowinckel Rederi in Bergen, Norway by the Turkish shipbuilder group ARES at the yard Celik Tekne Atlantis Araceli. Her sister vessel Atlantis Arki will follow next, and we can say for sure that these ships are anything else than a substandard product. Special surveys are a delicate issue in terms of constituting a packed work schedule. One can only cross fingers that the time invested will be long lasting in order to maintain our vessels at our ambitious standards. Nevertheless, the time invested at shipyard stays prove to be the most effective repair times, especially when performed in our home grounds of Tuzla bay. Pictured from left to right. Capt. 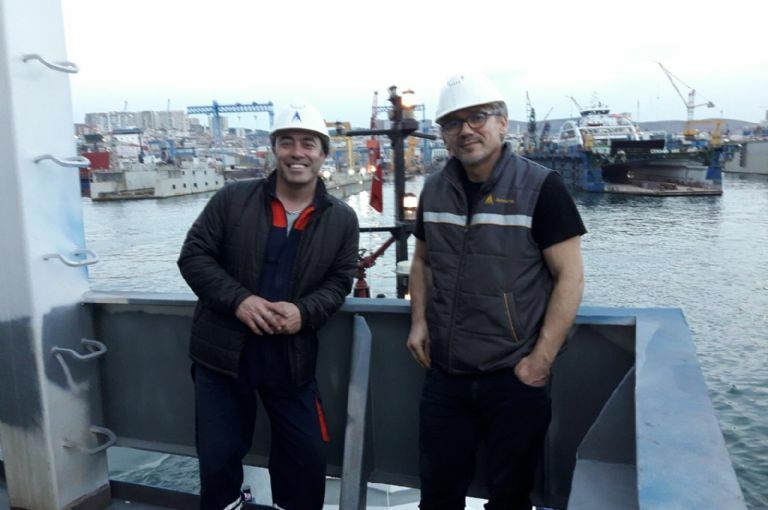 Ömer Balta (Operation Manager) and Aydin Yilmaz (Technical Manager) during a short break on the “balcony” enjoy the unusually mild climate in these December days, whilst the Atlantis Araceli is undergoing her special survey and other modifications. They have become the backbone of our operator team in bringing this fleet vessel to a better performance and new glamour. Our sincere thanks to their inalienable efforts.